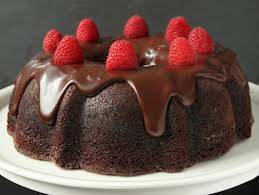 Cocoa Cake is one of the simplest desserts which children and grownups like. It is delicious and suitable for many occasions. It is easy and simple to make. Really it tastes Amazing!!! Now you can wow your crowd. – Firstly preheat the oven to 350 degrees. – Get a bowl to sift the flour with baking powder in. – Use the blender on medium speed to mix together milk, sugar, butter, cocoa, and coffee. Don’t add eggs in the blender now. – Make sure that the mixture is combined well. It will be too heavy liquid. The mixture looks like melt chocolate. – Fill a cup of such mixture from the blender and leave it in the fridge. – Keep the rest in the blender, add eggs and vanilla then turn the blender on again to mix the mixture again. – Use an electric mixer and beat well until light and fluffy. – Get a medium- sized round pan for cake. Pour the mixture in the pan. And bake it in the preheated oven. It takes only 35 minutes no more. – You can use cake tester inserted in the center of the cake and come out clean. – Now our cocoa cake baked well. Run a knife around the edges. – Get the cup of the cocoa liquid with the coffee flavor out of the fridge. 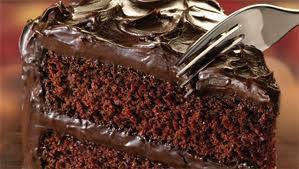 – Spread the liquid over the cake to be well coated with the cocoa heavy liquid. It looks like coated with chocolate. – Then, served in serve plates divided as you like. – It can be decorated with cherries, walnuts or strawberries. All people like easy, fast, and delicious food. Now we serve the way of making creamy Coleslaw. Not only many people like coleslaw but also most of children do like it and ask their mums to make it for them. – Shred the cabbage and the carrot well, using a knife and grater for carrots. – Chop the green pepper up. – Mix all other ingredients well. Mix mayonnaise, sugar, pepper, salt, sour cream, garlic powder, onion powder and cider vinegar. 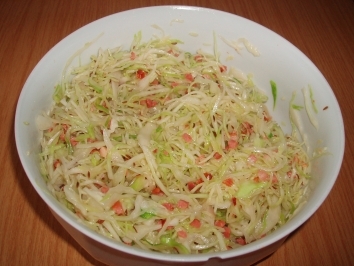 – Combine the shredded cabbage, the grated carrot and the chopped green pepper in a large bowl. 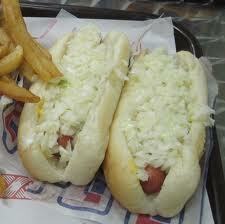 – Toss the coleslaw mix in the bowl and pour the dressing mixture over it till it coated. – Chill it 30 minutes until it is ready to serve or serve immediately. – Have nice, delicious and fast coleslaw. All people know the great healthy value of salad. 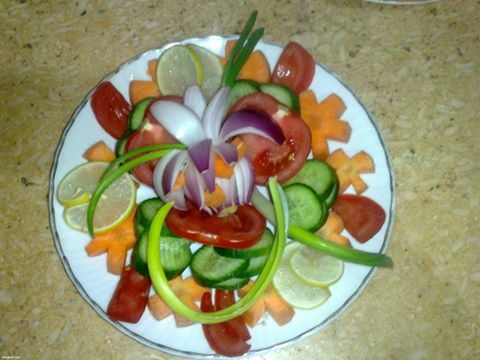 Salad is a healthy dish served fresh at any time with every meal. It is not only a healthy dish; it is also considered a quick and easy meal. Salad is also good for people who are going on a diet as they are in need to lose weight. They eat much salad as it is low in calories and fat. Here are some basic steps to make a healthy salad. Tomatoes, cucumbers, bell pepper, carrots, lettuce, parsley, celery. – Make sure that you have washed greens well and gently, especially lettuce. All varieties of lettuce available. You should wash lettuce well and rub it under cold water, Cut the leaves off. – Chop up the vegetables. Slice cucumbers. Make the carrots and onions shredded, the tomatoes and bell pepper diced. – Chop other greens; lettuce, parsley, celery. – Place the greens in a bowl. – Sprinkle the salad in the bowl with the salt and pepper. – Pour the virgin olive oil and the vinegar or the lemon juice into the bowl. – Toss gently but thoroughly. Use your hands or two large spoons to gently turn the greens over in the bowl until they’re well coated. Taste a leaf and add a little oil, vinegar, salt, or pepper until the salad is seasoned correctly. Serve the salad immediately. Finally, enjoy your healthy green dish. You can add many things you like in your salad including Cheese diced or meat slices. Usually the most satisfying meals are those the simplest to put together. There are simple meals appeal to moms to cook such as spaghetti . 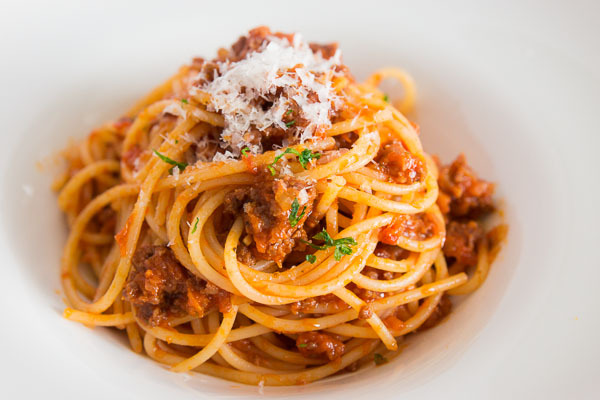 Spaghetti is one of the simplest and the most delicious meals that can be served to children or grownups and get their admiration because of its good taste with its tomato paste especially if it is served with french fries, chicken slices, chicken pane or with fried meatballs. Such dish would not take hours. It can be served in minutes. 1- fill a medium size pot about 3/4 of the way full of water. 2- add a teaspoon of salt to the water to help the pasta soak up the water faster and add 1/4 cup of the olive oil to keep the pasta from sticking together. 4- when the water is boiling, empty the entire package of spaghetti into the water. 6- Place a strainer in the sink to drain the paste ( Be careful of the boiling water and avoid splashing). 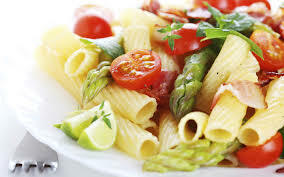 7- Run cool water over the pasta to stop its increasing heat and make sure that all the excess water is out. 1- Add some of the olive oil into a smaller pot then add the minced garlic in order to stir it carefully with the oil, when it has the golden color, you can find your favorite pasta sauce and empty the jar into the pot. – If you have a fresh tomato , you can mix it in the blender to get tomato sauce and use it instead. 2- add some salt and black pepper to the tomato sauce or the spices you like. 3- Cover the sauce with a lid and leave it to a medium heat. 4- Be sure to stir the sauce periodically and taste it to determine what it needs. – After few minutes, your sauce should be hot and ready to be taken of the stove. – Put spaghetti in a larger plate and pour the sauce over top. – Serve it with some french fries or meatballs. – Now, enjoy your delicious dish….